Home » General » Nevada Training Center Hosts its First Family Service Event! Nevada Training Center Hosts its First Family Service Event! Not even the smell of chocolate from the original Ethel M. Chocolate Factory across the street could distract volunteers who gathered for the first Family Service Event at the Shinnyo-en Nevada Training Center. 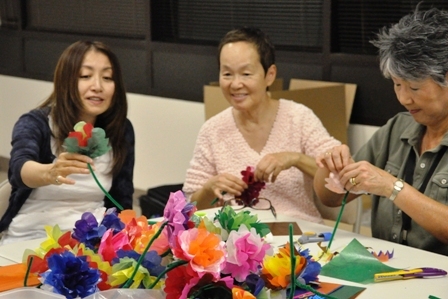 On a recent Friday, a core group of Shinnyo-en members gave up a few hours of their evening to make some small but meaningful projects that were donated to local organizations. 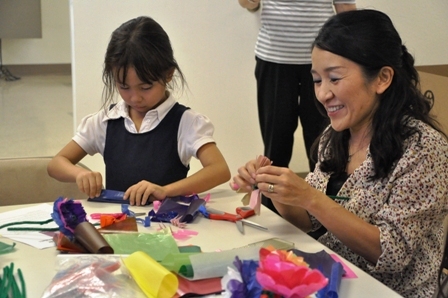 It was a family affair with many young children, their parents and grandparents working on projects together. 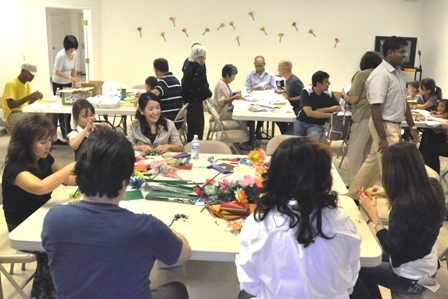 Jay Gibson, the Shinnyo-en LA temple manager, and now the Vice President of the Foundation, welcomed the group of about 30 people, many of whom were already elbow deep into making the projects. Members put together much needed toiletry kits and collected a box full of new socks for the Saint Therese Center. 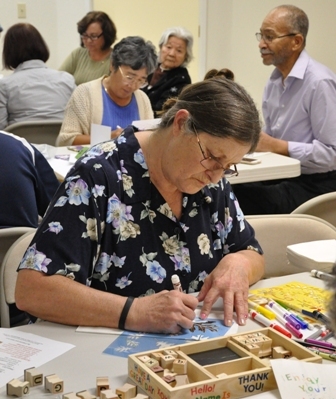 The center, located in Henderson, is a Catholic ministry that serves all people infected and affected by HIV or AIDS. The toiletry kits were stuffed with shampoo, soap, a washcloth, toothbrush and toothpaste! A staff member from the Center joined us in making the kits and enjoyed lively conversation after realizing many of the volunteers were from his home state of Hawaii. Meanwhile, some members sat on the floor, tying together pieces of fleece to make warm blankets for the approaching winter. 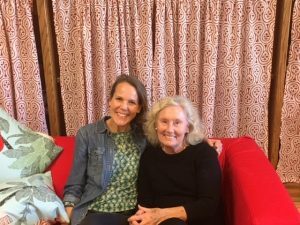 The blankets were dropped off at The Shade Tree, which is a shelter specifically for women, children and their pets, and is the largest shelter of its kind in the state. Other beneficiaries were the Meals on Wheels program at Catholic Charities of Southern Nevada and the Ronald McDonald House. 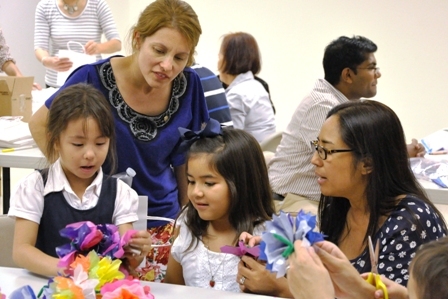 Meals on Wheels received handmade origami paper flower bouquets, and volunteers decorated lunch bags for Ronald Mcdonald House’s Lunch is on Us program. 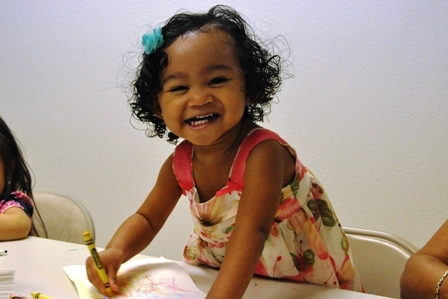 Little ones eagerly grabbed crayons, markers and stamps to decorate the bags, reminding us that there isn’t an age requirement when it comes to giving back and doing something that will bring a smile to another person’s face.